Saw Kew Gardens and Wicked the other day. Kew is really nice, a good break from the city. Its almost on the last stop of the District line of the Tube. It rained on again & off again, so I darted from greenhouse to greenhouse. 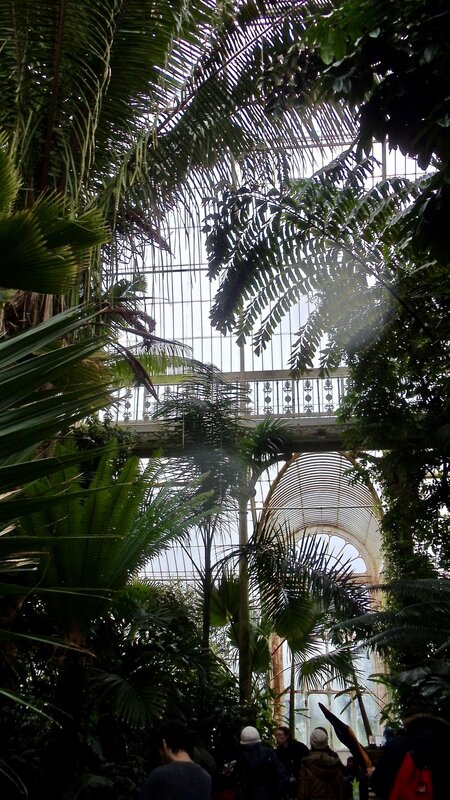 The main one is the largest surviving Victorian greenhouse. I saw some new plants, specifically the jade vine and the caulerpa. I was lucky, the jade vine in the first greenhouse bloomed two weeks ago, but the other one was in full bloom, and the color was really great. Like an Easter egg. The caulerpa is unusual in that it is made of only one cell, one of the largest in the world.